Tom is ranked as “Recognized" by the premier lawyer ranking service Chambers®. J.D.—Northeastern University; B.A.—Bates College, where he was a Francis Ouimet Scholar and member of the football and baseball teams. 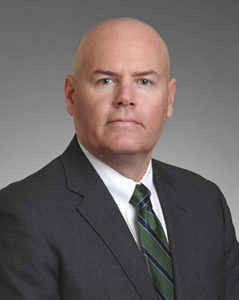 Tom’s practice involves litigation and counseling and on all aspects of federal and state employment law issues, including employment discrimination and harassment, protection of trade secrets, employee privacy and monitoring, wage and hour, terminations, reductions-in-force, employment policies and handbooks, and drafting and enforcement of all forms of employment contracts, including separation, severance, non-disclosure, confidentiality and non-solicitation and non-competition agreements. Tom negotiates and prepares these employment contracts for corporate clients as well as executives, senior-level personnel and individual employees within a wide range of industries, including telecommunications, travel, education, biotechnology, publishing and financial services. In addition to employment law, Tom’s practice focuses on a variety of civil litigation, including general business, contract and commercial disputes, intellectual property concerns and unfair trade practices. Tom also serves as general counsel to one of the most diverse educational collaboratives in Massachusetts. Boston and Law and Politics magazines have recognized Tom in their list of Massachusetts Super Lawyers in employment law. Prior to joining the firm, Tom was a partner of Lurie, Lent & Friedman, LLP and an associate in the business, employment and intellectual property litigation sections of Mintz, Levin, Cohn, Ferris, Glovsky and Popeo, P.C.